I have an Italian table that seats twelve and has glass on top, they moved the glass separately, they have great expertise. They were great. They're trustworthy, good, take care of your furniture, they wrapped everything in plastic, and there were no stains or fingerprints. Everything was wrapped in plastic, moved, and nothing broke. They were very professional. They were prompt, there were enough people, one person wrapped while the other two moved, they went beyond the call of duty. I called three companies for quotes and I got the best service from AMS Bekins. They do exactly what they contract to do and there are no surprises. They're friendly, easy to work with, and very professional. I'd recommend them. They showed up on time, they were professional, and they did everything very quickly. I have told friends to use them. They were so normal, competent, cheerful, showed up on time, and had some great suggestions. It was just wonderful, really terrific. They got the job done, they are very knowledgeable, we talked about how long it was going to take, and what they needed. I moved out of a house and into a new condo. The condo was hard to move into because it had a basement garage entrance with a service elevator. They knew the building so they rented a pick-up truck so they would unload the truck to the pick-up truck and then take the various loads into the condo. They had to go the extra mile to get in there, they knew the whole drill, had been in the building before, and it wasn't a problem. I had to put things in storage and they assisted with that, they were with me a lot. It was really neat, when I moved, I moved the stuff out for storage, they gave me the original sheets they moved out with and everything has a number. They kept track of everything. I knew everything was here. It was really great. 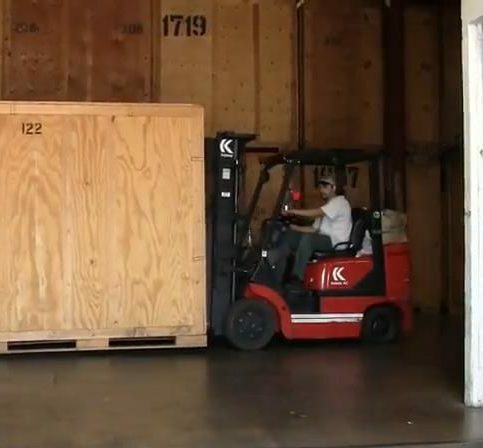 AMS Bekins handles local, national and international relocations for a variety of clients, including residential households, corporations, tradeshows and more. 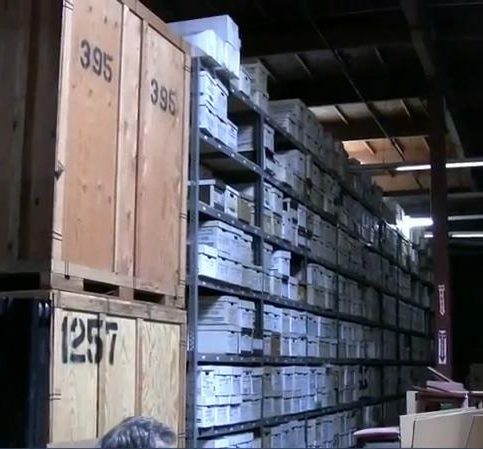 In addition to its moving capabilities, the company provides general and business record storage services at its 60,000-square-foot Burlingame facility. 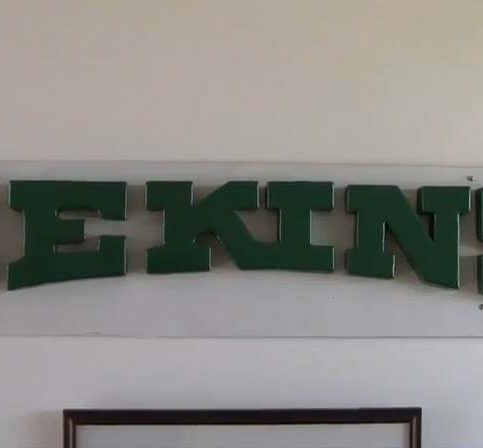 In 2013, AMS Bekins was awarded Agent of the Year by Bekins Van Lines. 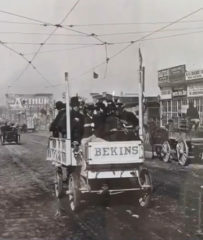 AMS Bekins is a fourth-generation moving and storage company. AMS Bekins has been handling local, national and international relocations for residential households, government and military households, corporations and tradeshows since 1949. 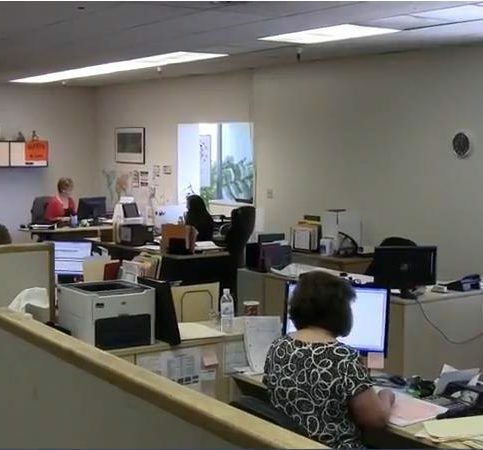 In addition to its comprehensive moving services, the company provides business/medical record storage services at its 60,000-square-foot Burlingame facility. Pare down your belongings. 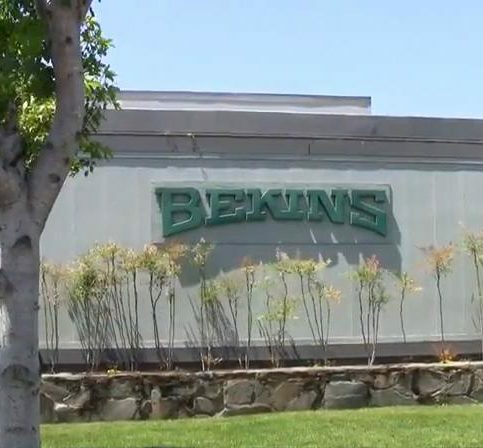 “As a general rule, don’t take anything you don’t need,” says Gary Wolfe, Owner/President of AMS Bekins in Burlingame. “If you haven’t worn it or used it in two years, don’t move it. It doesn’t make sense to pay to move things you aren’t going to use.” Instead, plan ahead and hold a garage sale or list items on craigslist and in other classified ads. This will not only cut down on the cost of the relocation by limiting the number of items you’re moving, but it can also help you recoup some of your moving costs. Drop off anything that doesn’t sell at a local shelter or resale store. Minimize the amount of time your movers spend at your house. “Moving companies generally charge by the hour for their services, so anything you can do to save time will also help save money,” says Mr. Wolfe. To begin, have everything packed and ready when the movers arrive. If they have to wait for you to pack boxes or help you prepare for the move, it can cost extra. Likewise, take items you won’t be moving and remove them from the premises before the movers arrive. That way, they won’t accidentally pack or load extra items onto the moving truck. If possible, use your vehicle to move certain items. If you’re moving locally or have room in your vehicle, take some of the more fragile items with you to save packing and loading time. Items you may want to take include lamps, lampshades, frames, glass items, valuables and irreplaceable items like photo albums. Q: Will you be on time on my moving day? A: We guarantee we’ll be on time for moves within California. We only book moves that we can handle, so we’re always available on the scheduled day. For interstate moves, we guarantee we’ll be there on the day of pickup. If we’re not, we’ll pay you up to $125 per day for the inconvenience. Q: Should I purchase moving insurance to cover the cost of my belongings? A: Moving insurance is a bit like life insurance—everyone makes different decisions about how much they need based on their comfort level. By law, we have to provide minimal coverage at no additional cost, but the coverage can go up from there. We have a very low damage claim ratio (one percent), so we let our customers decide if they want moving insurance, which is known as ‘excess valuation’ in this industry. That way, they can choose the amount of excess valuation they want based on their own peace of mind. Q: How can I save money during my move? A: There are many ways to save money during a move. First, don’t take anything you don’t need. If you haven’t worn it or used it in two years, don’t pay to move it. Pack the things you can pack yourself (books, linens, DVDs) and let the movers pack dishes, furniture and valuables. If you’re moving locally, load pictures into the back of your car to save space in the moving van—especially if they have glass fronts. Q: Can I pack my belongings or should I have your movers do it? A: We do provide professional packing services, but it’s perfectly fine if you do it yourself. You can purchase boxes from us, or we can provide used boxes at no charge if we have them. If you use common sense, you can usually do a pretty good job packing. Q: What are some good unpacking tips? A: Make sure you have a lot of space when you’re unpacking, and don’t put things away until you see the big picture. Wait until all the boxes are put in their respective rooms before opening them and removing items—it’s a better utilization of your space. Q: What should I look for in a storage unit? A: Before you hand over your belongings to a storage company, go inspect the facility. Don’t make an appointment or tell anyone you’re coming—just show up and ask for a tour. Use your common sense when surveying the property. Look for security systems, make sure the facility is clean and organized, and ask if the storage units have raised floors so dust and rodents can’t penetrate the insides. Greg Wolfe is a relocation specialist with AMS Bekins, a Diamond Certified company since 2011. He can be reached at (650) 288-6734 or by email. Q: If you were going to sing karaoke, what song would you choose? A: I would sing “All of Me” by John Legend and dedicate it to my wife. A: The past. I think we can gain a lot of perspective from seeing how people dealt with challenges and adversity in the past. A: Tadich Grill in downtown San Francisco. Q: Ever had a conversation with a famous person? A: I spent some time with Willie Mays once, which was a childhood dream come true. BURLINGAME — When preparing for a big move, in addition to choosing a reputable moving company, you’ll want to make sure the company provides you with a thorough, accurate estimate. To do this, an estimator will need to come to your home and conduct a visual inspection. A moving estimate should consist of a detailed, room-by-room list of all the furniture, boxes and other items to be moved. Additionally, your estimator should take note of any items not to be moved, which will help you avoid any misunderstandings on moving day. Using this comprehensive list, your estimator will determine and present you with a price that reflects the expected cost of the move. He should also provide you with a Not-To-Exceed price, which puts a cap on the final price in case it ends up being higher than the original estimate. By hiring a moving company that takes the time to ensure accuracy when estimating the job, you’ll have greater assurance of receiving a fair and honest price. BURLINGAME — Host, Sarah Rutan: When preparing for a big move, be sure that your moving company provides you with an estimate that is both responsible and accurate. Today, we’re in Burlingame with Diamond Certified Expert Contributor Greg Wolfe of AMS Bekins, to learn more. Diamond Certified Expert Contributor, Greg Wolfe: One of the most common questions of customers in the moving process is once they do have an estimate, how can they trust that it’s a reasonable expectation of what they might pay. A couple of suggestions for you. First and foremost is that you have an estimator come to your home, give you a visual inspection and a written estimate right then. Second, I have a couple of examples. I’d like to show you the written estimate. Let’s have a look. So, here we have an actual estimate. What you see is a comprehensive list, going room by room, of all the furniture and boxes to be moved. What you also see is you have a specific list of items not to be moved. This is important so that there’s no misunderstanding on move day. What your estimator will provide you is a detailed description of what you can expect to happen on move day. It will allow him to generate a not to exceed price. This should give you that reasonable expectation of what you should pay. And if you are by chance hit with a change order on move day, at least you’ll understand why. All the information that I’ve provided you today is in this booklet published by the California Public Utilities Commission and it is required to be given to you by every mover that you see that gives you an estimate. Good luck. Have a great move. AMS Bekins : Average 8.7 out of 10 based on 200 unique customer surveys of customer satisfaction. They're 100% reliable, they give very accurate estimates, they're extremely careful, respectful, and friendly. They moved everything very delicately and we had absolutely no issues with them. I think the quality of the people on their crews is just excellent. They're very pleasant to work with, helpful, and respectful. We're very satisfied. I felt they were very fair and reasonable. The people who moved stuff out of my house and into my new place were very professional. I think they were fair and reasonable. I was worried using a professional mover was going to be very expensive. I found them to be very reasonable. I recommend them all the time. I am a Realtor so I recommend them because they are honest, the prices are good, and they are great. After interviewing multiple movers, we decided the experience was worth the extra cost. They cost more, but it was definitely worth paying any extra expense. The inventory, the service quality, and the complete experience, they were very educational, our estimator, he is a veteran, and having him explain the process and what to expect from other bidders was extremely helpful. I gave them their name and highly recommended and he ended up using them. They did everything I wanted them to do and gave me guidance on the way. They did what they said they were going to do, I didn't have to argue with anyone, they were very pleasant, and it was simple. I've used them twice and I will use them again around May. I used them because my rental agent recommended them to me. They had the guys, it wasn't a different crew every time, it was continuity of employees every time. They were nice, smart, personable guys and we got along great. I have referred a lot of people to AMS Bekins. I would tell others it is a great service. They did the first month or two for free for the storage. I may be using them again shortly for a move. The person I dealt with, when I moved, was very good but I can't remember her name, she was very professional. They keep their word, showed up when they said they would, they worked really closely with us, and we were very satisfied. I could go on and on, I am serious, they were really great. They kept their word, they did what they said they were going to do. We had a situation where we were trying to sell out house and get another house, we had to keep everything on their truck for a week, so they parked the truck in one of their lots and left it there so we wouldn't be charged for additional loading and unloading. They treated me the way they wanted to be treated, I felt. It was a recommendation from my real estate agent and that is how I contacted them. My last move was a disaster compared to these guys. They were excellent to us. They aren't cheap but they did a great job and really cared about our stuff. They set the house up for us and worked with my wife. Their professionalism, they tried to make everything work, and settled in our new house. Timeliness, they were on-time, worked hard, and they got everything to our place. They were very good to work with, very efficient, safe with everything, and very friendly. Overall it was a great experience. They were on time, friendly, and organized. They were great. They were efficient, reliable, responsible, and they worked very hard. They stuck to their promises, they were on time, and they had a reasonable price. They did everything very well. They were on time, professional, personable, and friendly. They took the worry out of everything. They were competent and they gave us confidence in their work. They moved us over 2 states and everything went great. They did what they were supposed to do. They were on time and prompt. I really liked the movers on the day of the pickup and on the day of the delivery. Everything worked out well. I was very impressed with them being right on time and getting the job done well.